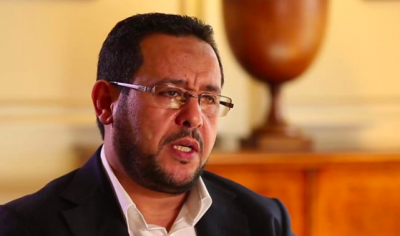 So the Belhaj family have accepted an apology and half a million pounds of our tax money to drop their legal action against HMG and against Jack Straw personally over their extraordinary rendition to torture in Libya. The British establishment, whichever party is in power, continues to do everything possible to cover up the shameful history of its complicity in torture and extraordinary rendition, and in particular to hide the authorisation by Jack Straw and Tony Blair and the involvement of senior MI6 officials like Sir Mark Allen and Sir Richard Dearlove. A judicial inquiry by Judge Gibson into British government complicity i torture was cancelled when he showed signs of being an honest and independent man, and was replaced by an inquiry in secret by the Intelligence and Security Committee of Parliament. I gave evidence to that inquiry but no report has ever issued. Most tellingly, a police investigation into the Belhaj case and other cases was dropped by the Crown Prosecution Service ensuring that Jack Straw never stood trial. Senior policemen in the investigation had told me they believed they had sufficient evidence to prosecute. That evidence included my own sworn witness statement, taken by the Metropolitan Police over two days of interviews. 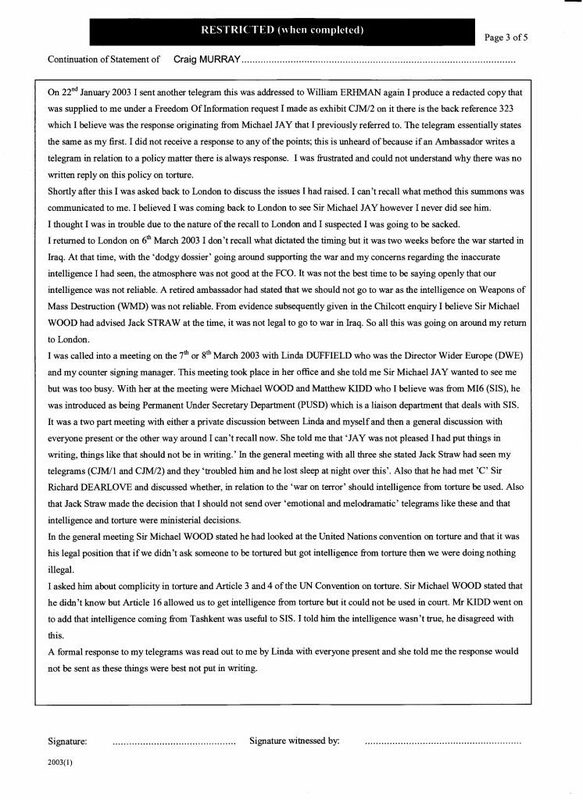 This is the crux of my sworn evidence, where I testify that the decision to use intelligence from torture came from Jack Straw and Richard Dearlove. You can see my full evidence and an account of the circumstances of the CPS dropping the case here. On the same issue of complicity in torture, in the US Gina Haspel, like Straw, Dearlove, and Allen here, has got away with her crimes, to the extent she has now been appointed head of the CIA. My good friend Ray McGovern yesterday made a protest over her very close involvement in authorising torture, at her confirmation hearing. As a result Ray, who is 78 years old, was brutally assaulted by six policemen who kept yelling “stop resisting” at this unresisting 78 year old man, as they dragged him around the floor, dislocating his shoulder. Nobody has gone to jail in the UK for a complicity in torture which everybody knows occurred. Everybody also knows precisely who ought to have gone to jail, including Blair and Straw. The government spent over £4 million in legal battles to try to keep the evidence in the Belhaj case secret, before they settled out of court to avoid a public trial and to save the Establishment being exposed. Never was there a plainer example of the neo-cons sticking together than the Tory protection of Blair and Straw. I am personally not happy at this waste of taxpayer resources to keep Jack Straw out of jail. Are you?